WHEELING, WV, September 13, 2018 — Marquis Who's Who, the world's premier publisher of biographical profiles, is proud to present Robert W. Gracey with the Albert Nelson Marquis Lifetime Achievement Award. An accomplished listee, Mr. Gracey celebrates many years' experience in his professional network, and has been noted for achievements, leadership qualities, and the credentials and successes he has accrued in his various fields. As in all Marquis Who's Who biographical volumes, individuals profiled are selected on the basis of current reference value. Factors such as position, noteworthy accomplishments, visibility, and prominence in a field are all taken into account during the selection process. A man of tremendous compassion and business acumen, Mr. Gracey has had a long and fulfilling career, holding various positions before retiring from financial advising in 2010. He worked as a financial advisor for Smith Barney in Wheeling, WV, and Pittsburgh, PA, from 2006 to 2010, also working as a financial advisor with Legg Mason Wood Walker, Inc., from 1998 to 2006. Mr. Gracey was an investment executive for The Ohio Company and Fifth Third Bank in Martins Ferry and Steubenville, OH, from 1993 to 1998, as well as for Legg Mason Wood Walker, Inc., in Wheeling, WV, from 1987 to 1993. Mr. Gracey was formerly a manager of the Wheeling Country Club from 1984 to 1987. He also served as a general manager of the Quality Inn Royle from 1978 to 1984 and as a caseworker for the Family Counseling Center from 1970 to 1978, both in Kittanning, PA. Mr. Gracey has also worked as a part-time adjunct instructor in culinary arts at West Virginia Northern Community College and a rider coach at West Virginia Motorcycle Safety Program. He is currently employed at Olive Garden in Triadelphia, WV. Dedicated to spreading the Word of the Lord, Mr. Gracey is an honorably retired ordained minister of the Presbyterian Church, USA. He earned a Master of Divinity from the Pittsburgh Theological Seminary in 1966, also completing coursework in advanced pastoral studies at the institution from 1968 to 1970. He served as pastor for the Union First Presbyterian Church in Cowansville, PA, from 1968 to 1978, as well as pastor three churches in the Clay County Larger Parish in Manchester, KY, from 1966 to 1968. Mr. Gracey has also been a supply preacher for the Presbytery of Upper Ohio Valley at Wheeling from 1985 to 2006. First earning a Bachelor of Arts from Davis & Elkins College in 1963, Mr. Gracey has furthered his education. He completed coursework at the College for Financial Planning from 1991 to 1993. Most recently, he has earned an Associate of Applied Science in culinary arts from West Virginia Northern Community College in 2013. Mr. Gracey is professionally certified in financial planning and hotel administration, was a registered investment advisor and representative, a licensed insurance agent and is a certified culinarian with the American Culinary Federation. Bettering any group with which he is affiliated, Mr. Gracey has been involved with numerous organizations. He holds membership with the Brooke County Genealogical Society and the A D. White History and Genealogical Society. Furthermore, Mr. Gracey has been associated with the Weirton Chamber of Commerce and Elmhurst, the House of Friendship serving as a board member. Mr. Gracey has also had involvement with Rotary International. He has served as president of the Weirton Club from 1994 to 1995 and director-at-large, as well as assistant governor of District 7530 of the Rotary International from 1997 to 1998. Furthermore, Mr. Gracey has held the position of district conference committee chair, has been named a Multiple Paul Harris Fellow and a Rotary Foundation benefactor. Lending his time and talents in multiple capacities, Mr. Gracey was a trustee for Presbyterian Homes, Inc., in Camp Hill, PA, from 1992 to 1996. During that time Gracey has served as chair of the Board of Directors for Mark H. Kennedy Park in St. Clairsville, OH, and Community Home Care and Hospice in Wheeling, WV. He held the role of chairman of the church and community committee Presbytery of the Upper Ohio Valley from 1989 to 1991, as well secretary of the committee on ministry from 1995 to 1998. Furthermore, Mr. Gracey has been chairman for its Mission Support and Advisory Council. 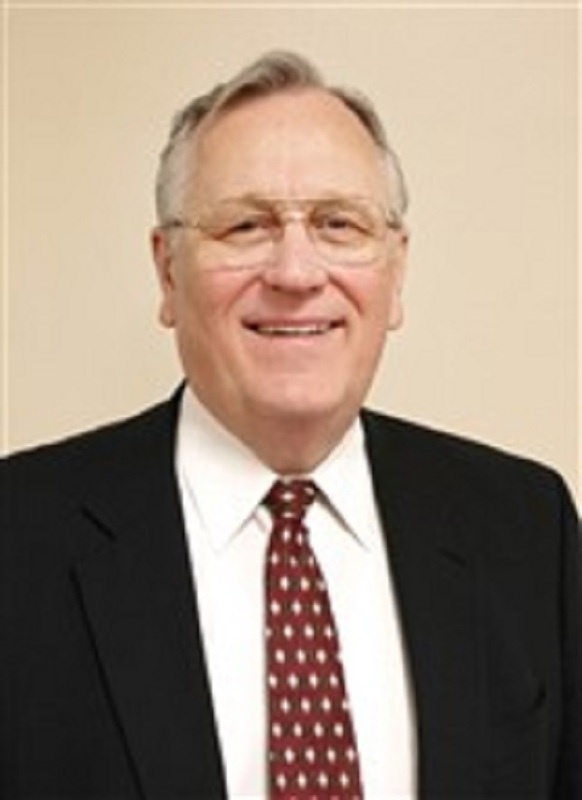 Mr. Gracey was a founding member of the Flood Relief Network of Upper Ohio Valley from 1990 to 1991 and has served on the board directors as secretary and treasurer for B.O.L.T., Inc., in Weirton, WV, from 1990 to 1994. Mr. Gracey was also affiliated with the founding of the Brancazio Free Clinic in Weirton, WV. He served as a volunteer firefighter in both Manchester, KY, and East Franklin Township, Armstrong County, PA. In recognition of his accomplishments, Mr. Gracey has been presented with several honors. He has been named Manager of Year of Aladdin Food Management Services, Inc., in Wheeling in 1987, as well as the Rotarian of the Year of the Rotary Club of Weirton, WV, in 1990. He has also received the College of Governors Award from Rotary District 7530 in 1995. Additionally, Mr. Gracey has been featured in multiple editions of Who's Who in Finance and Business, Who's Who in Finance and Industry, Who's Who in America and Who's Who in the Midwest. In recognition of outstanding contributions to his profession and the Marquis Who's Who community, Mr. Gracey has been featured on the Albert Nelson Marquis Lifetime Achievement website. Please visit www.ltachievers.com for more information about this honor.